I’m having a little pine nut obsession at the moment. When they’re toasted they just taste so good in everything, sweet or savoury. 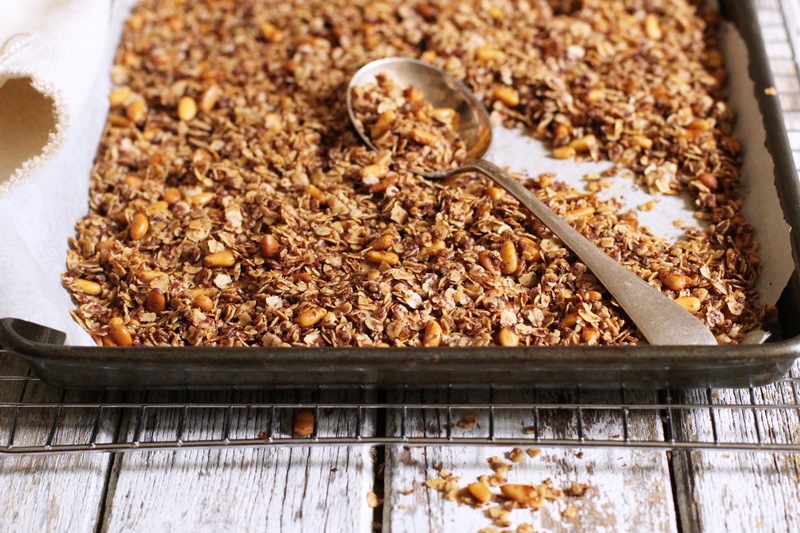 This is a really simple granola, it doesn’t have a million ingredients and it can be thrown together in a few minutes- minimalist and irresistible. 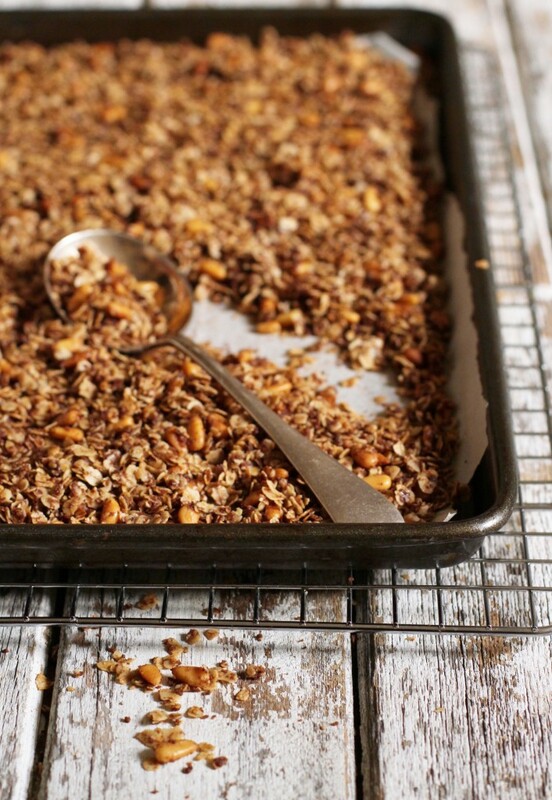 Combine the oats, pine nuts, coconut sugar and cinnamon in a large bowl and mix well. Stir in the melted coconut oil and mix well. Spread the mixture out on a baking sheet lined with parchment paper. Bake for about 20-23 minutes, tossing twice in the middle. Leave to cool completely on a wire rack before storing in an airtight jar or container.